It is consistently heard across industry that 100% leak free joints are the desired outcome when working on flange joints. In the quest to eliminate leaks in piping and pressure vessel systems a “Zero Leakage” result is the number one priority. To achieve this, it is necessary to understand what causes leaks; what must be taken into account is the type of joints where leaks commonly occur and also analysis on the ‘proper’ use of equipment traditionally used to prevent leaks. There are always several mechanisms which can contribute to a leak. Looking at a single contributing factor is too narrow and may lead to missing other contributing factors. Within pressurised systems, joints are highly dynamic and constantly moving due to the changes occurring in the environment. This variable can create the difference between tight and leaking joints. There is no such thing as a perfect, 100%, leak free joint. There will always be some leakage if we look at it on a molecular level. The success in controlling leaks comes from choosing the best combination of gaskets and the assembly of the flange. The process of positioning the flanges has important principles to be considered which assist in preventing a leak free joint. The flange faces are to be brought together evenly to allow uniform distribution of the load on the gasket. However, some methods can still cause damage to gaskets; ramming flanges, a practice used in assembling heat exchanger bundles, is a common cause of damage. 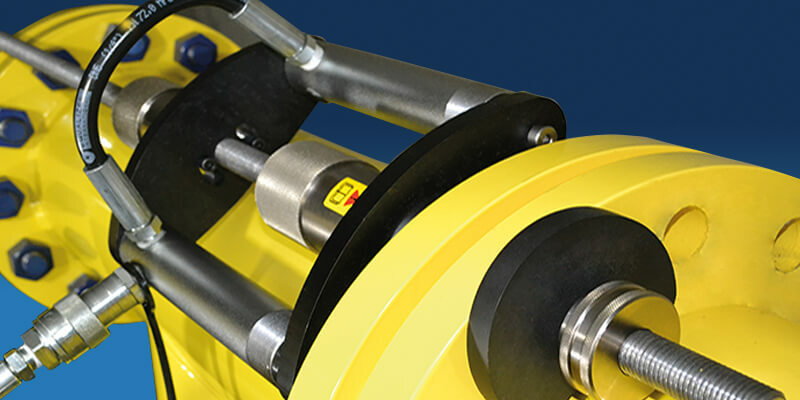 A safe and secure method can be carried out by using HTL’s Hydraulic Flange Pullers to allow the flanges to be gradually drawn together ensuring zero damage. HTL’s Flange Pulling Tool is a simple, lightweight hydraulic tool deigned to be used to pull two flanges together prior to bolting. 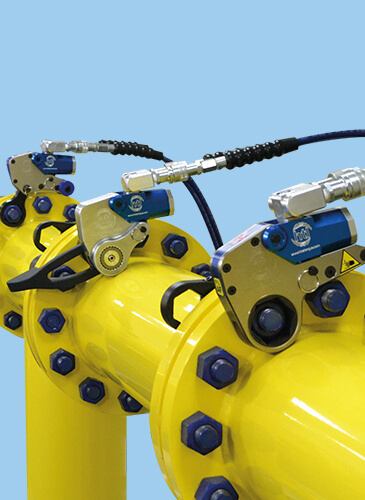 With the ability to pull flanges securely and safely from a distance of 600.00mm to 0.0mm and with a force of 200Kn (20T), you can be assured that HTL have the correct equipment to assist in securing the desired jointed, leak free flange. When greater force is required, the HTL Flange Pulling Tool can be used simultaneously to ensure all flanges, varying in sizes maintain the high standards required. This can help you save money on repairs and man hours whilst also satisfying health and safety departments by providing a safe and secure working environment. 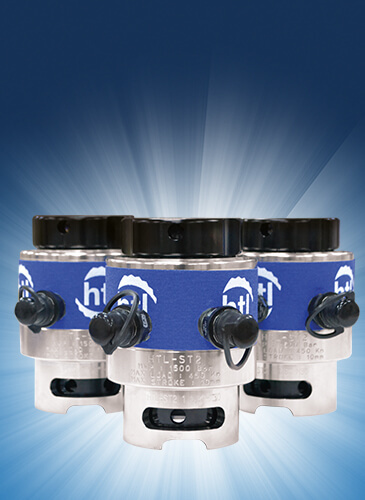 Discover how HTL’s Flange Pullers can help you cut costs today. For daily hire rates or purchase options call +44 (0)1670 700 000 or email info@htlgroup.com. Read ‘The Importance of joint Integrity’ for the typical damages caused to flanges and gaskets. 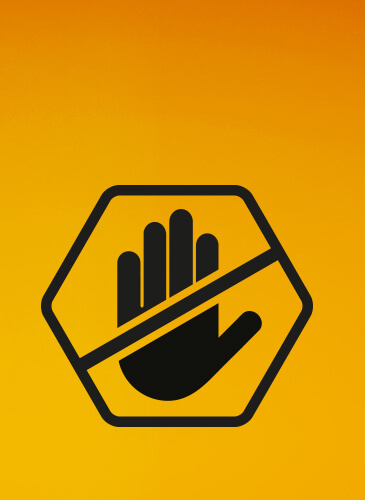 Previous Previous post: Why is calibration so important?